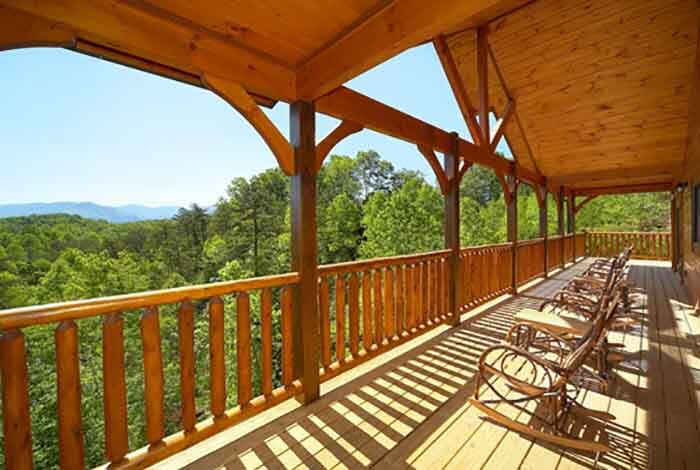 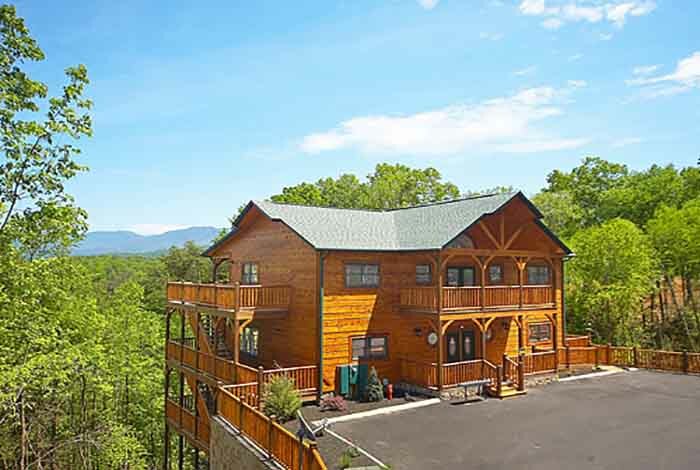 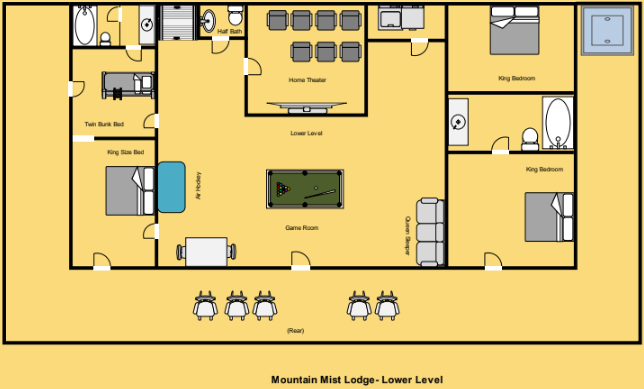 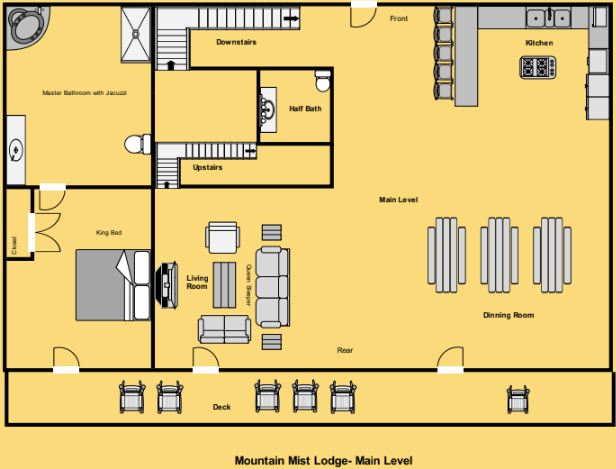 Be enchanted by Mountain Mist Lodge, where the magic of the Smokies “legend of the blue mist” and the grand 8 bedroom cabin situated in the shadow of Mt. 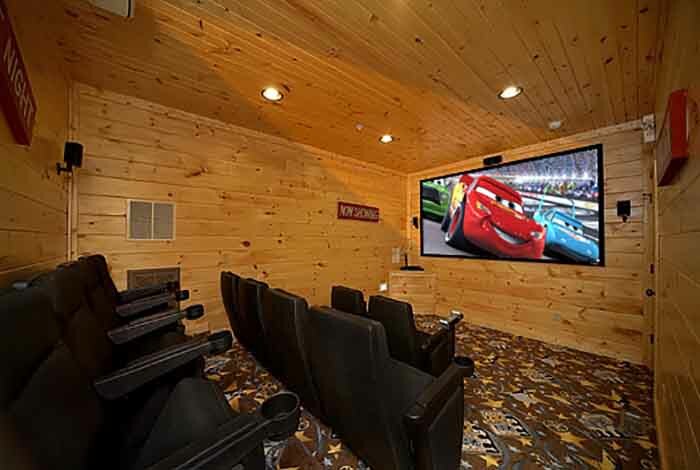 Laconte combine to make your visit magical. 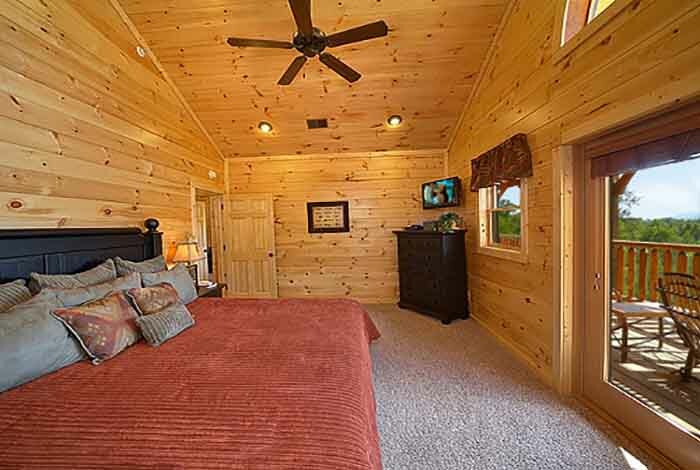 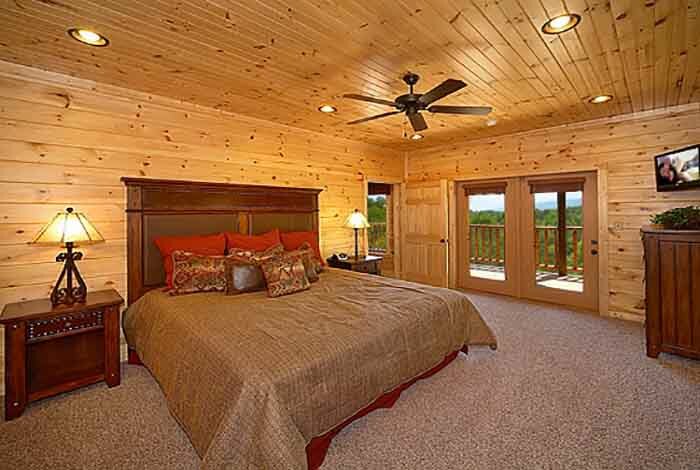 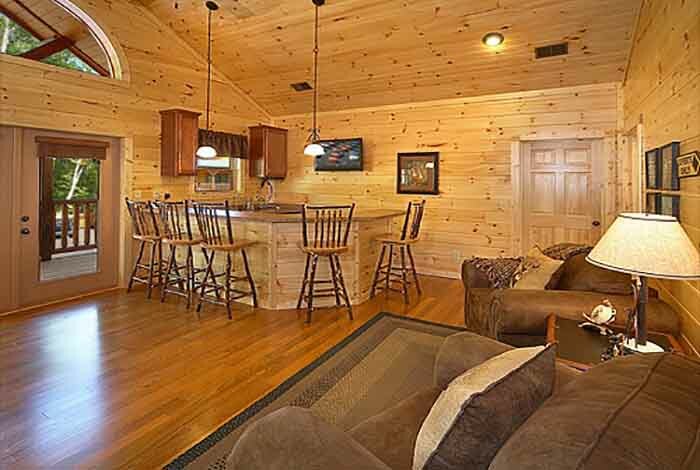 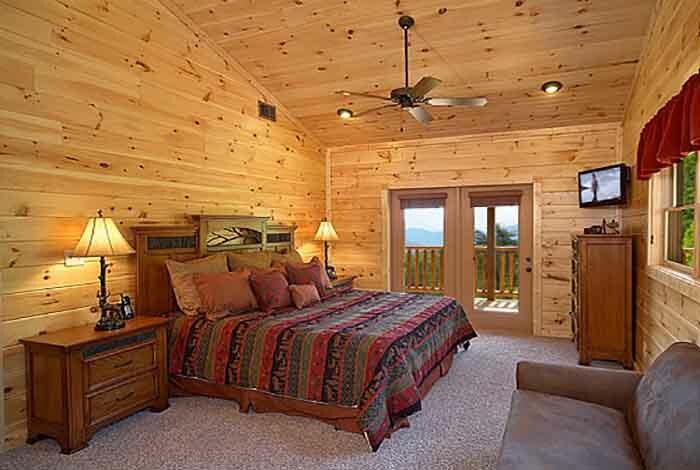 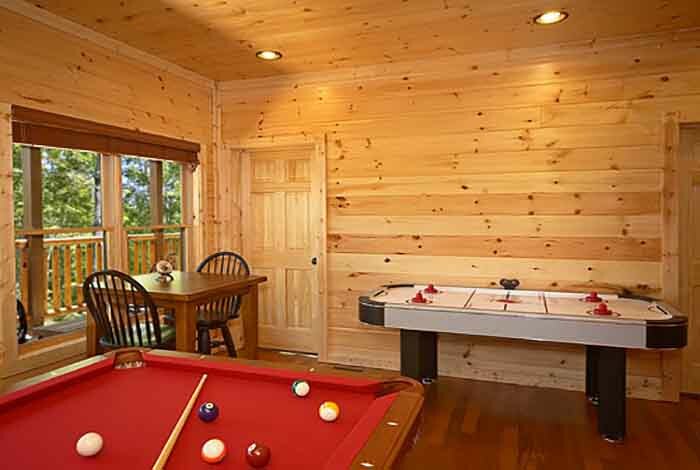 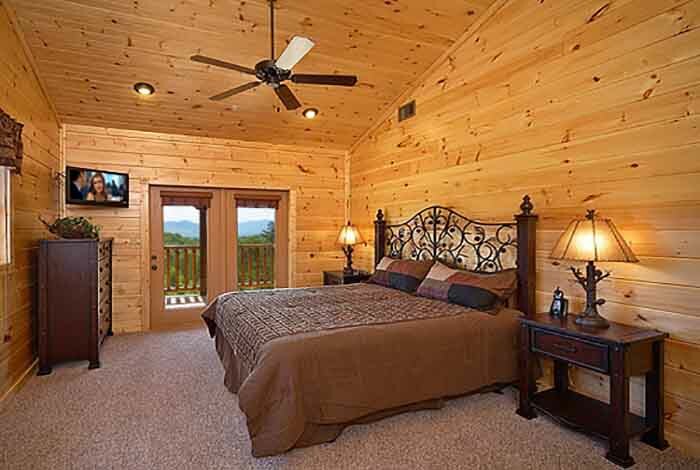 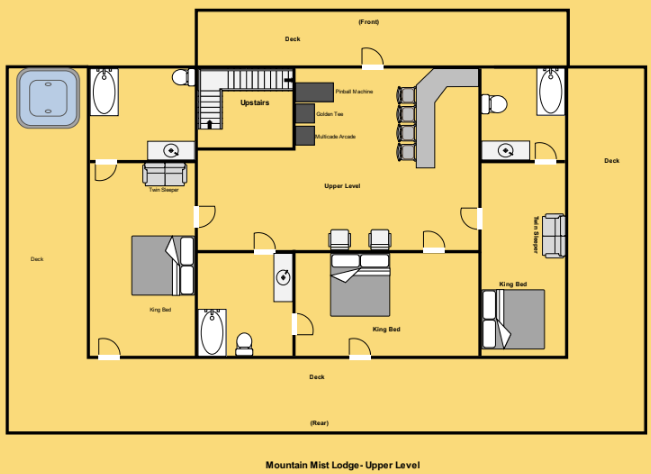 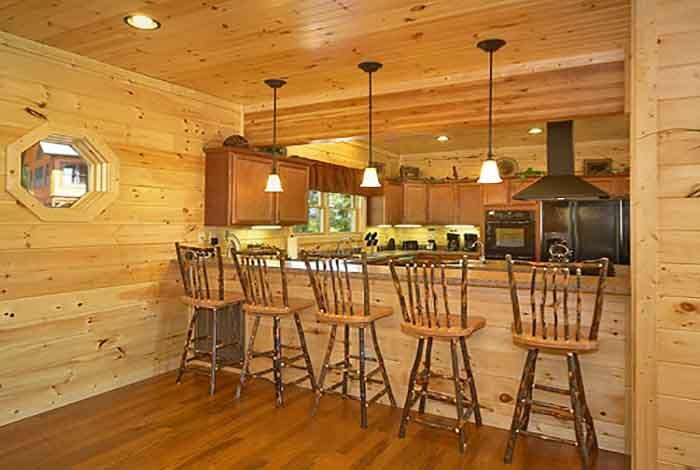 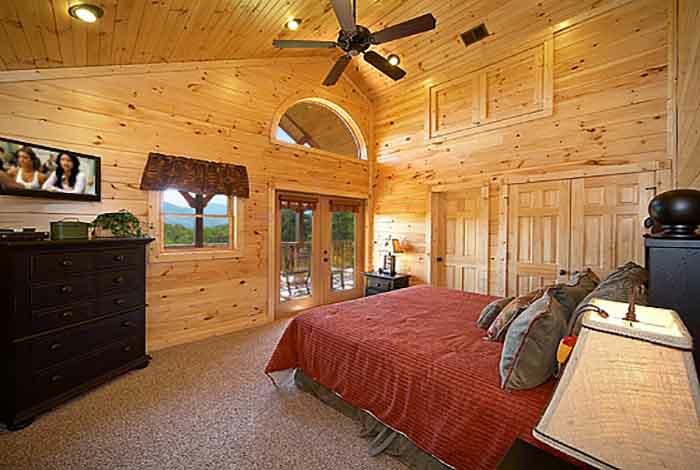 A spectacular, luxury log cabin exquisitely furnished with your comfort in mind. 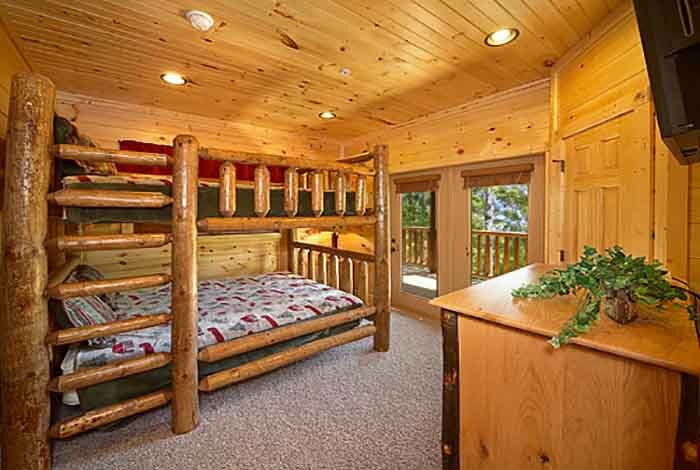 It boasts every amenity imaginable six king bedrooms, six baths with vertical jetted shower spa, a twin bunk bed, Queen Bed, and two more queen sleepers and a fireplace. 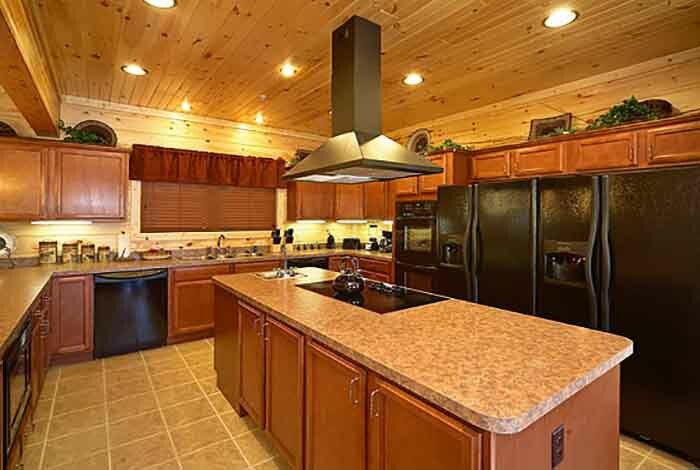 A spacious gourmet kitchen featuring two refrigerators, two dishwashers and double oven complete the fantasy. 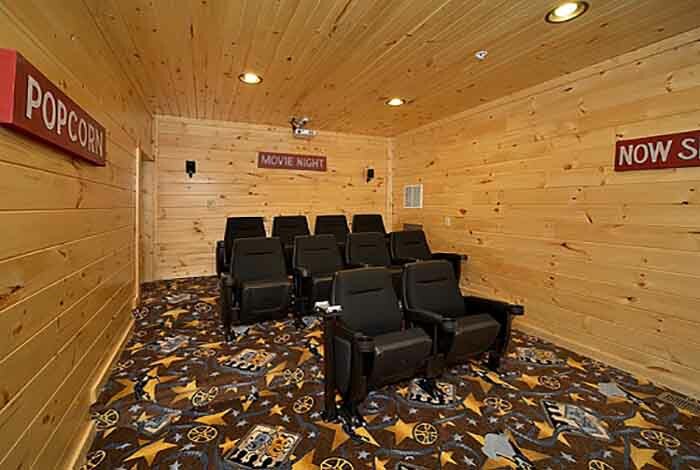 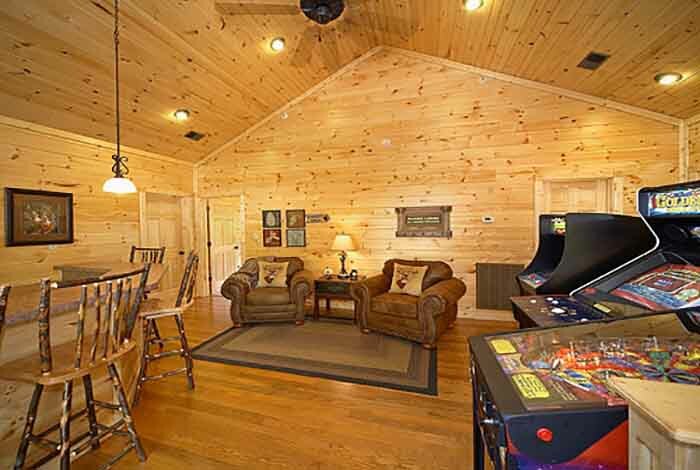 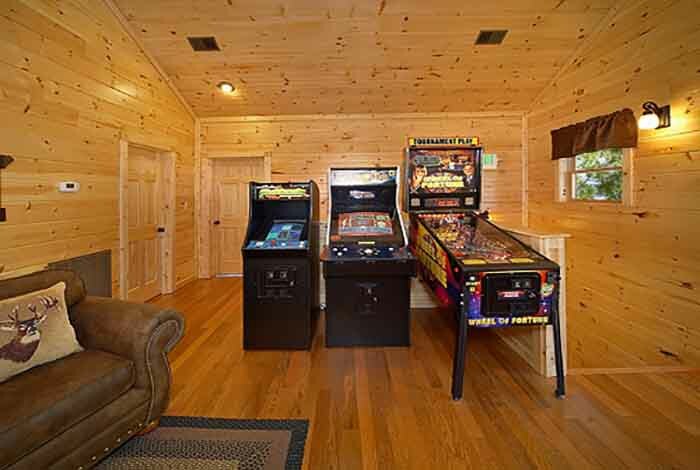 While the “kids” are enjoying the 10-seat Home Theatre with 8’ screen, pool table, foosball, Ms. Pac Man/Galaga arcade game, Wheel of Fortune pinball and ten TV’s all with DVD, you can relax in one of the sixteen rockers that line the decks of Mountain Mist Lodge viewing the private, wooded area framed by the Smokies. 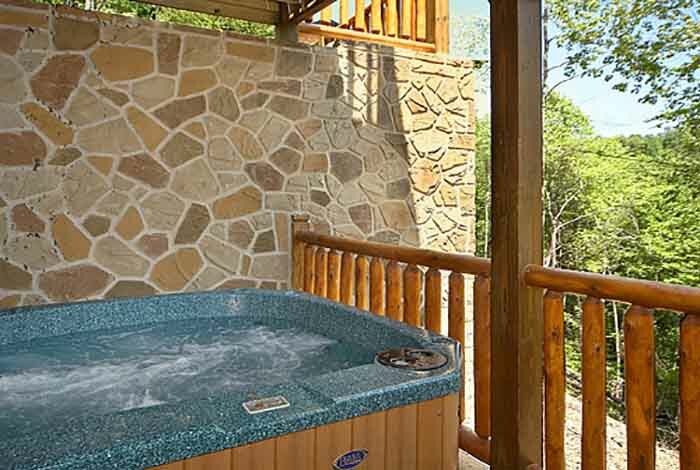 At night turn off the lights, soak in one of the private hot tubs and marvel at the number of stars in the sky. 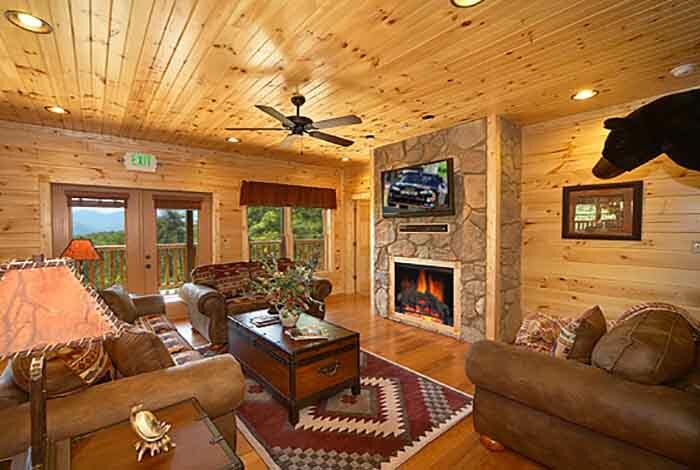 Or if you must, connect your laptop to the high-speed wireless internet connection to check your emails and send pictures to your friends and family showing them what a great time you are having and the beauty of the Smoky Mountains. 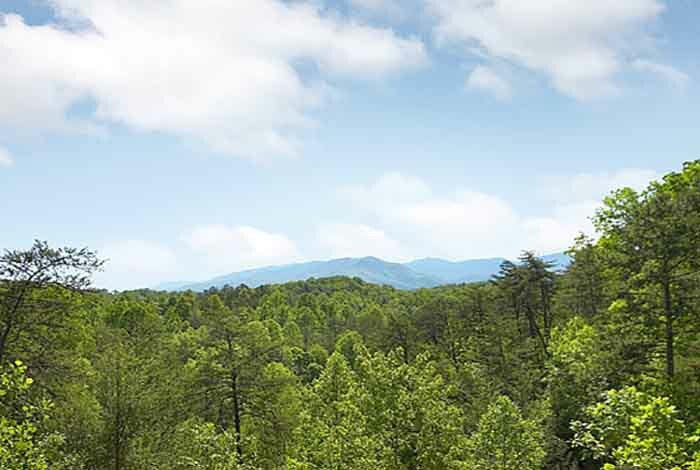 Perfectly located, just around the corner from downtown Gatlinburg, Dollywood and the Smoky Mountains National Park in Gatlinburg Falls Resort @ the Glades. 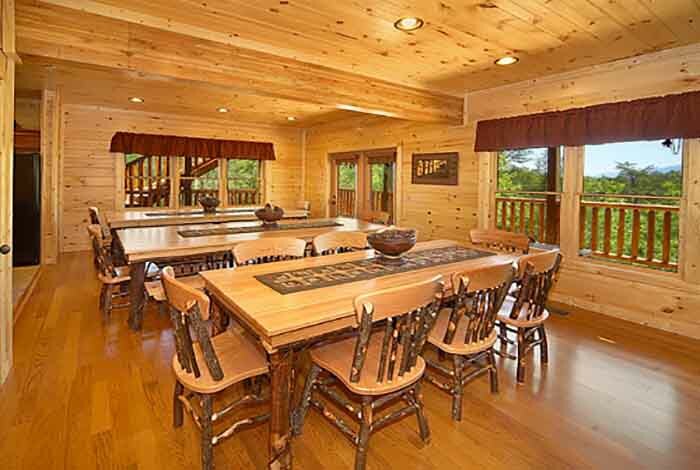 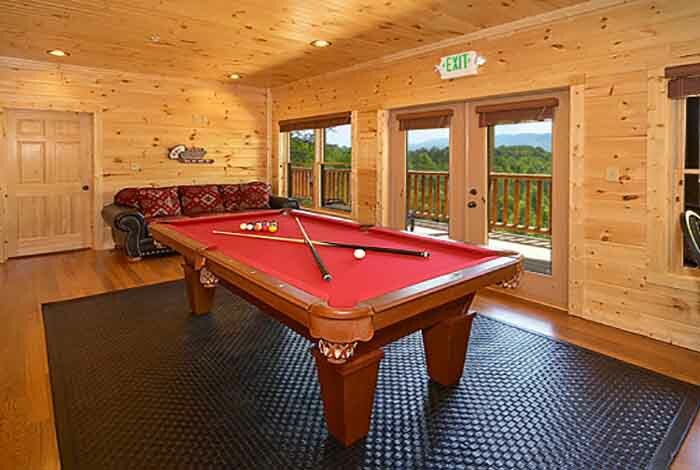 For your next family gathering or retreat, choose Mountain Mist Lodge to enjoy the best of the Smokies – where luxury meets the mountains.